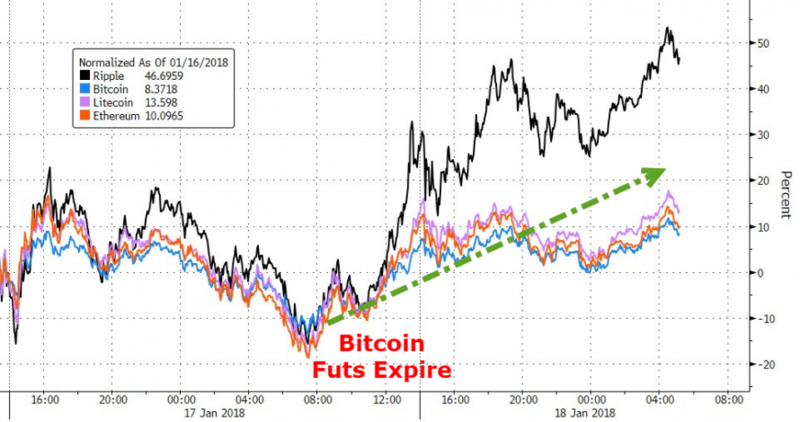 The rebound from yesterday's lows ahead of the Bitcoin futures expiration continues across the crypto space with Ripple soaring over 50% in the last 24 hours. South Korean headlines continue, ranging from insider-trading accusations to admissions that shutting down crypto is "realistically impossible." 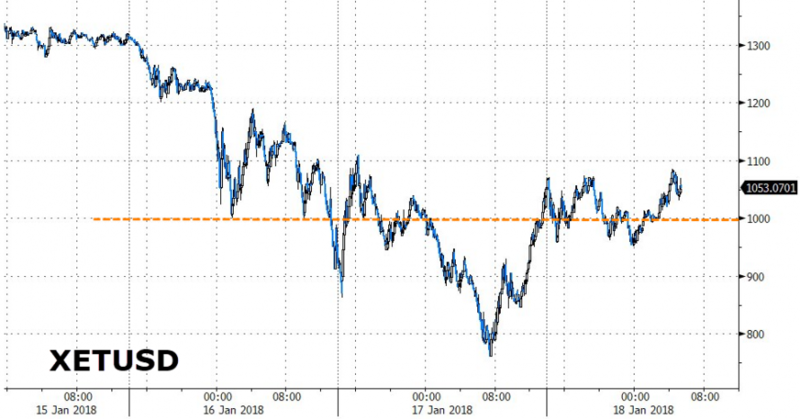 South Korean official bought bitcoin and sold it right before the false claim of Justice Minister about a cryptocurrency trading ban. 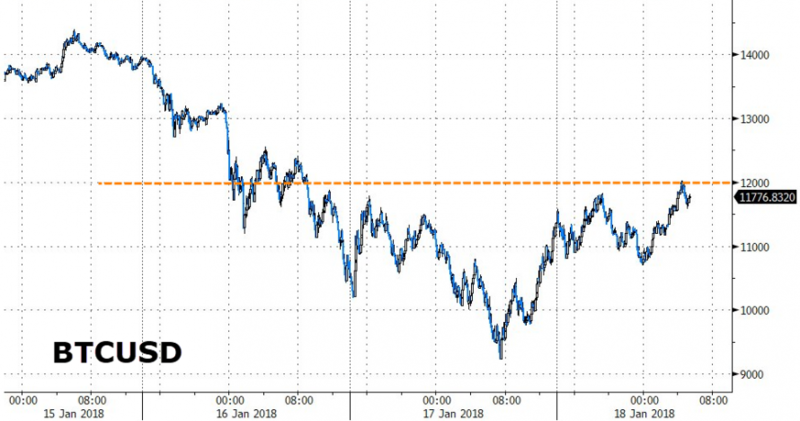 Several employees and officials within the Financial Supervisory Service of South Korea bought and sold bitcoin right before the false "cryptocurrency trading ban" by Justice Minister. Market manipulation, negligence, and corruption. Investigation ongoing. Whether cryptocurrency investment is excessive speculation or not, the risk is on the investor, and thus the government should not outright ban economic activity because it is risky. That's for the individual investors to decide. Finally, we note that FundStrat's Tom Lee, who has been a very vocal bull on Bitcoin, says investors should consider Ethereum and Neo as alternatives. Lee puts a $1900 year-end target on Ethereum, $60 on Ethereal Classic, $225 on NEO.